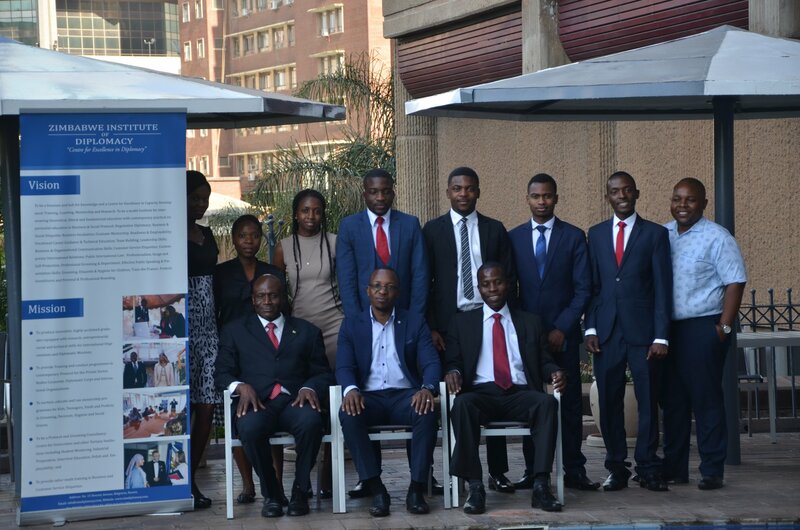 “Good manners will open doors that the best education cannot”; this was said by Mr V.A Chikanda during a Capacity Building Training in Business Protocol, Etiquette and Professional Grooming for the Zimbabwe Asset Management Corporation Staff at Monomotapa Hotel on 16 November 2018. The Workshop augmented the self-image, service delivery, vibrancy and conduct of business within the Zimbabwe Asset Management Corporation. The Business Coach, Mr Chikanda urged participants to work for a good reputation; not for ZAMCO but for themselves, and to redouble their efforts to revamp customer service excellence to maintain integrity and positive public perception. Participants learnt the essentials of how to interact and converse socially with others, effective introductions, proper business mannerism and among other things. Professional Grooming and Deportment session gave them the essence on personal hygiene, body/skin care, professional image and perfumery, body language, posture and understanding the correct way of corporate dressing. Mr Chikanda challenged the participants to follow proper business etiquette and protocol to offer reliable services that keep their customers’ best interests at heart.